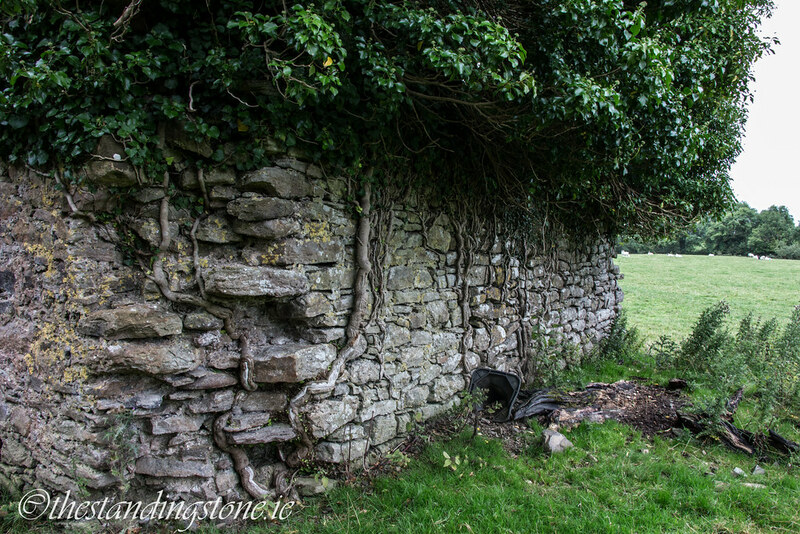 The Standing Stone: Srahanboy, Tower House, Co. Laois. 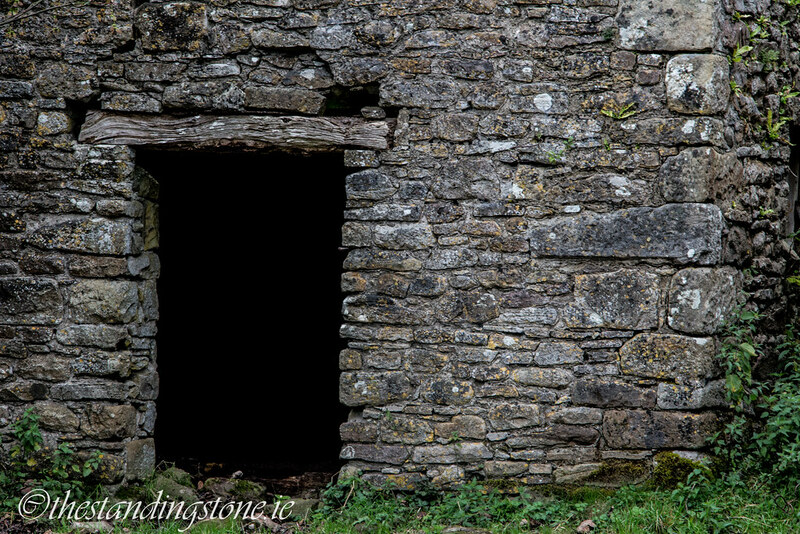 Srahanboy, Tower House, Co. Laois. 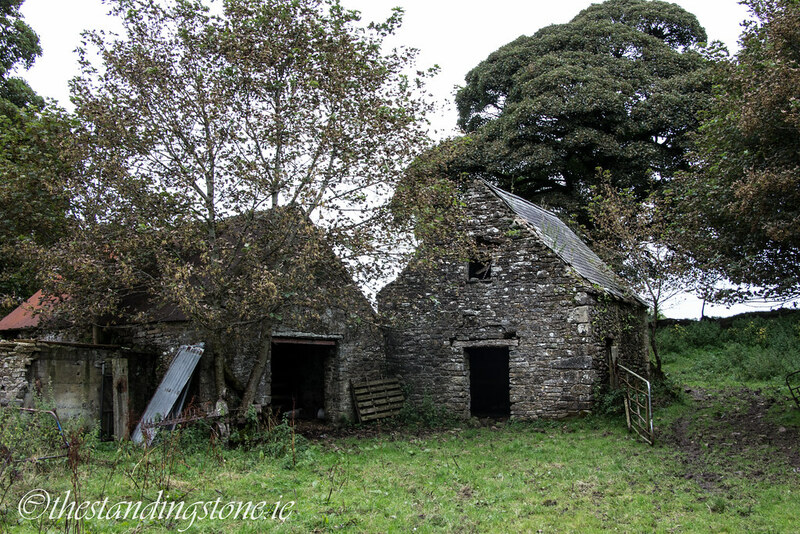 Location – In the foothills of the Slieve Blooms, not far from Camross village. 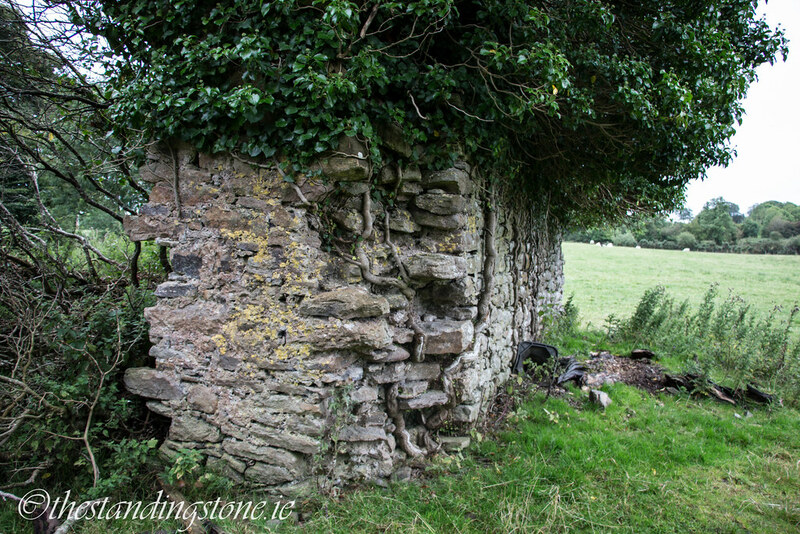 Description and History – Little remains of this tower house now and it is barely more than a small section of wall. 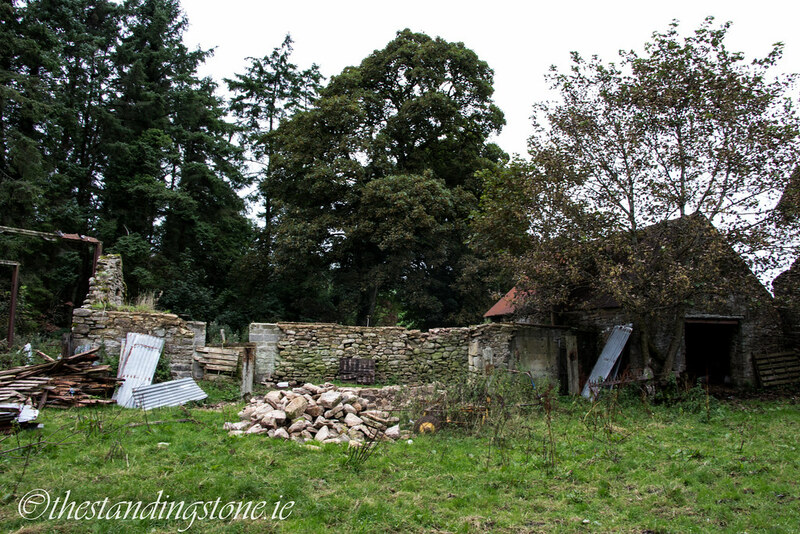 Upon my first visit to the site I passed by it without realising that it was there even though it is on the side of the road. 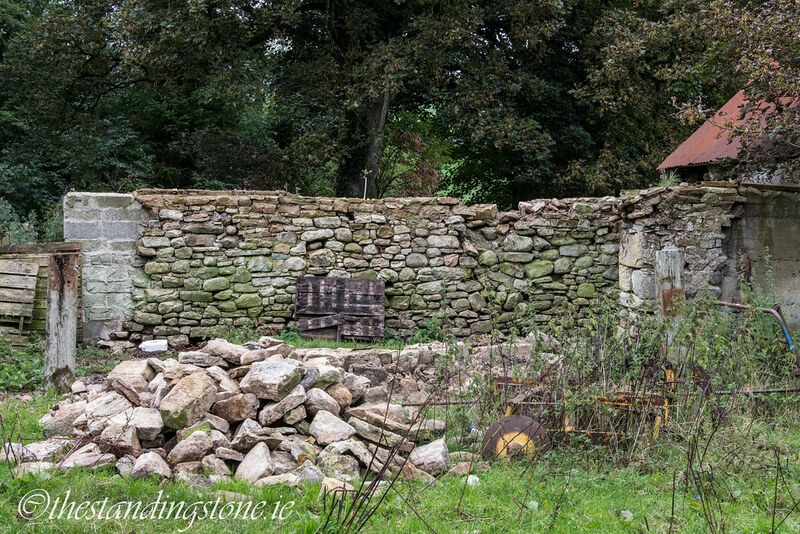 Opposite the tower house are many small outhouses and barns belonging to a nearby farm and my immediate instinct was that these were built out of stone from the castle which has been removed. 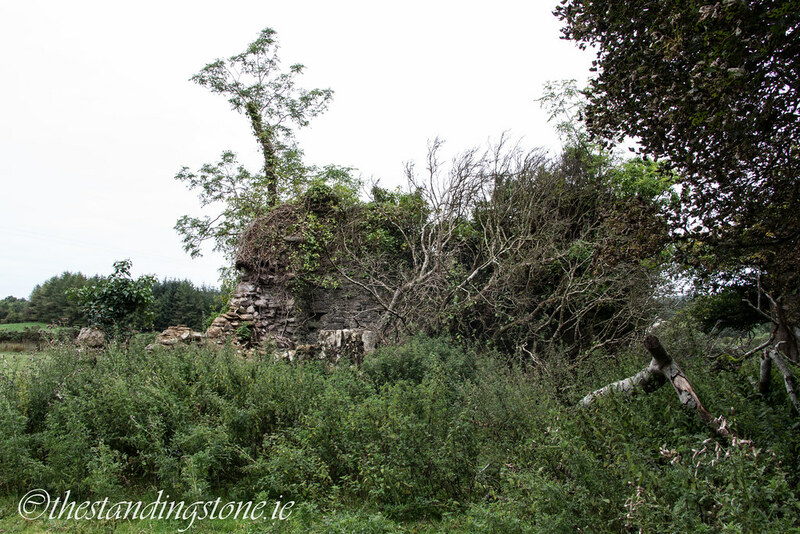 The castle was occupied by the O’Connors in 1641 and later by the Calcutt family in 1775. After this it fell into ruin. I have visited this site twice, first in 2009 and again in late 2014. 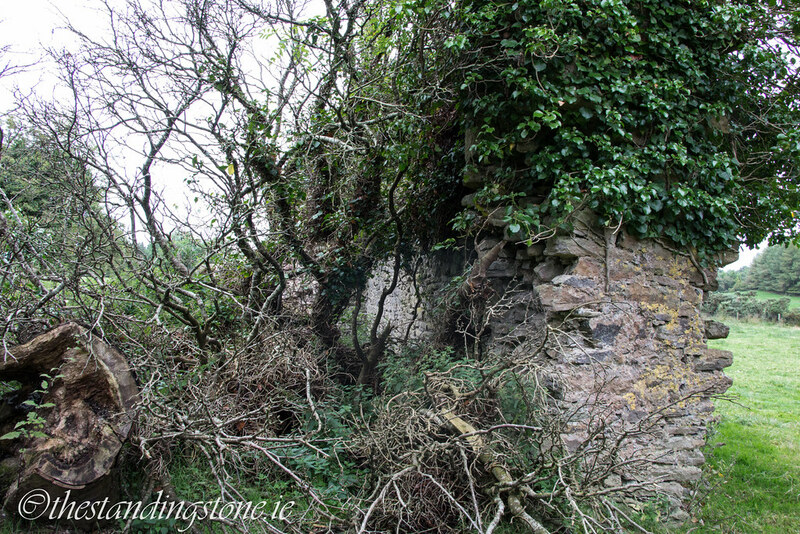 In the space of those five years the site has deteriorated significantly, becoming increasingly overgrown and a large portion of the remaining Southern wall has collapsed inwards. The site is increasingly unstable. Difficulty – This site is not difficult to get to as it is on the side of the road. This is the only picture I took during the 2009 visit. 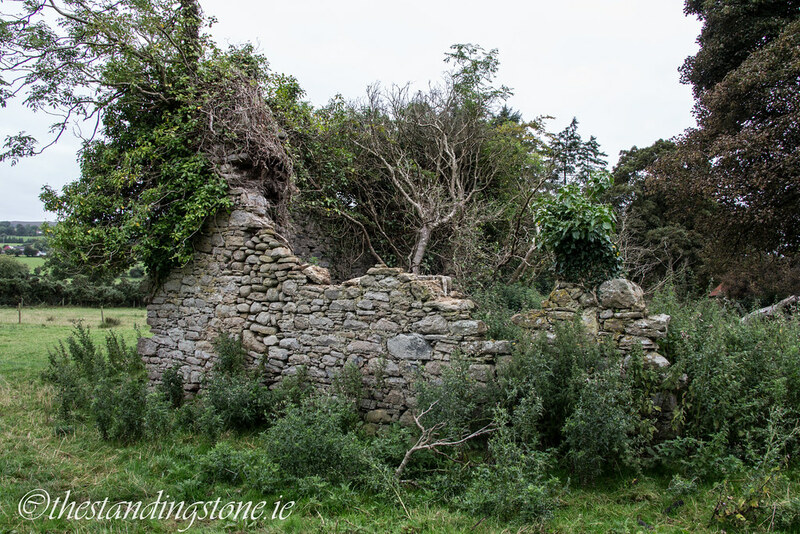 It was overgrown then but fairly neat around the remaining structure. This picture and all of the following are from 2014. Note how the wall on the right is in poor repair compared to the left. The site is now overrun with weeds. 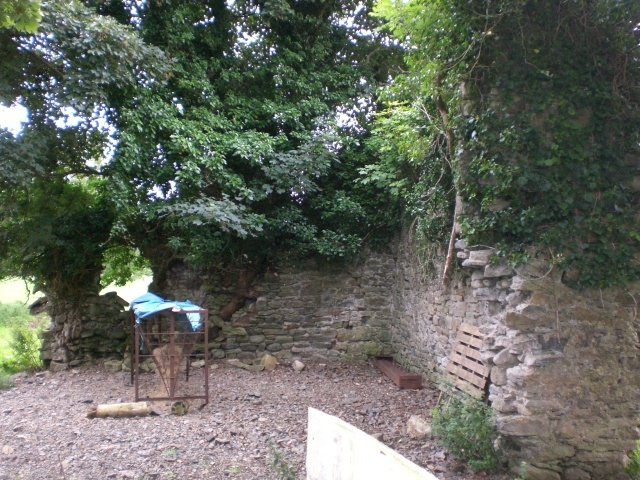 The portion of wall on the left of this picture has partially collapsed in recent year. The damage looks to be fairly recent so I would hazard a guess that this happened during the storms of early 2014. You can clearly see here how the mortar has all but gone and there is nothing holding the stones together. 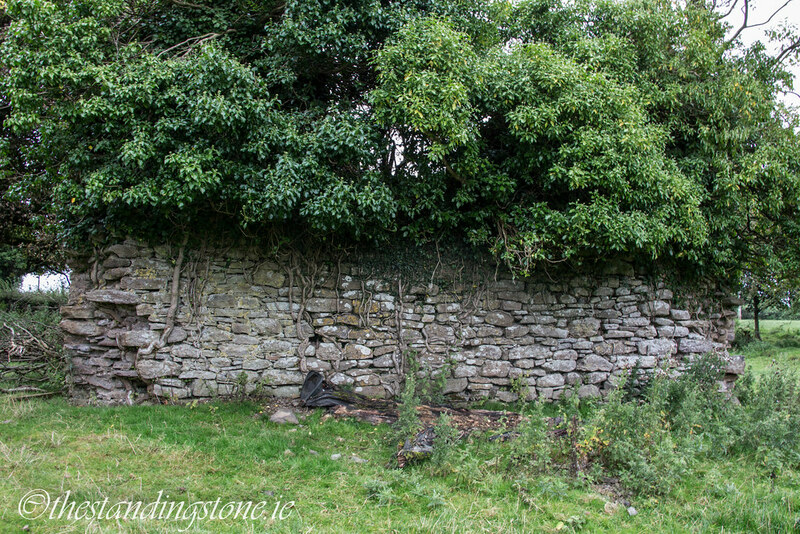 It is no wonder that a storm would severely damage such a wall, plus the weight of the foliage would add extra strain. 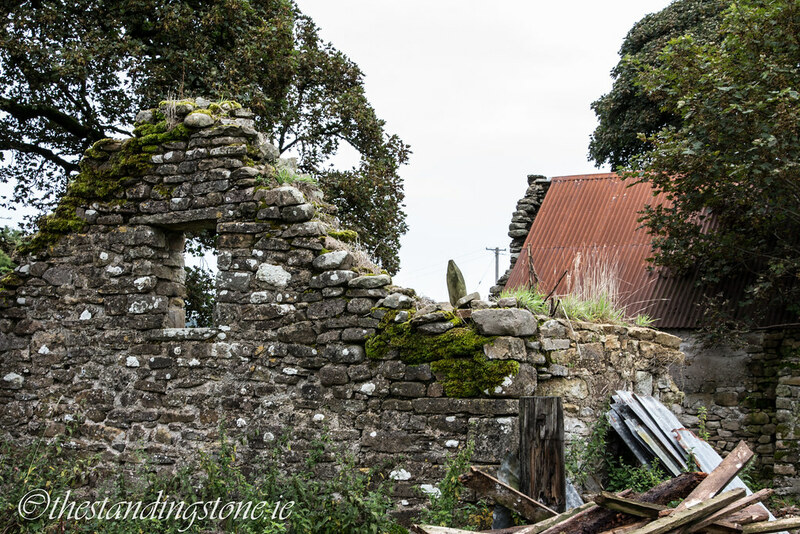 I would hazard a guess that most of the stone from the castle found its way across the road to make these farm buildings.